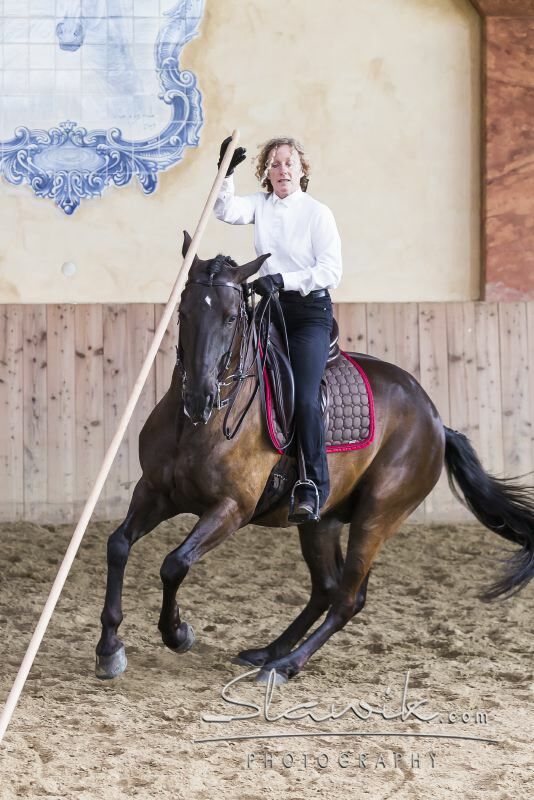 On this tour we ride a lot and fast, but cultural aspects won’t be neglected. 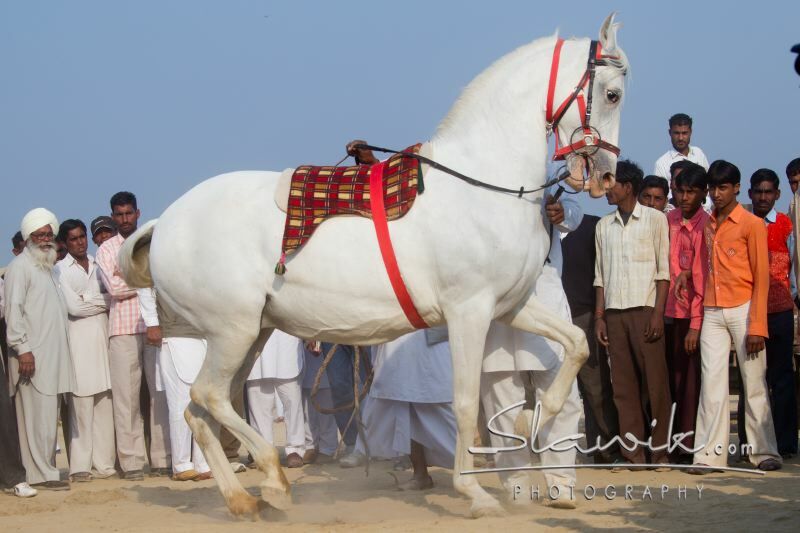 On this tour we will enjoy a lot of indian culture but the riding won’t be neglected. 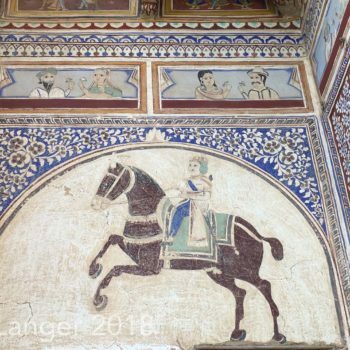 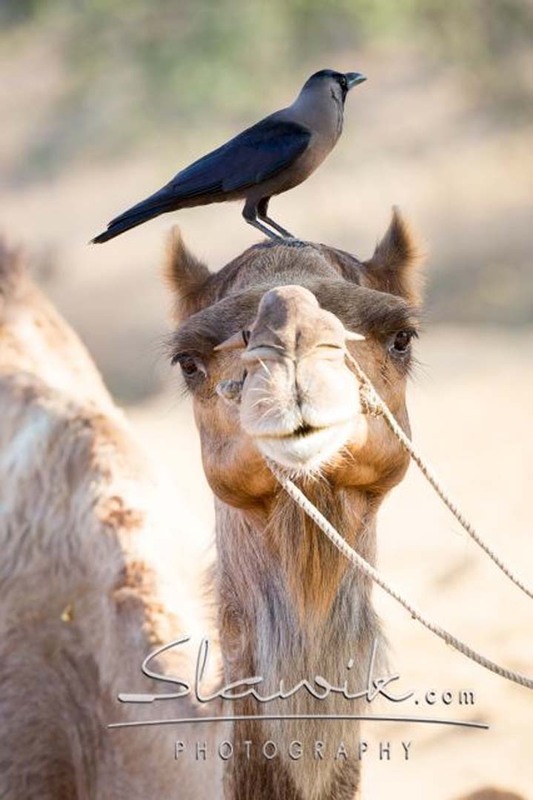 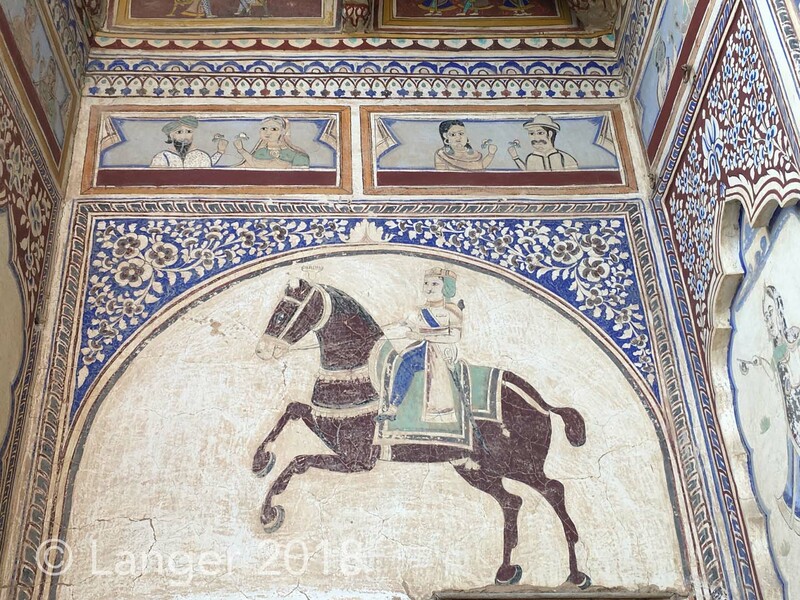 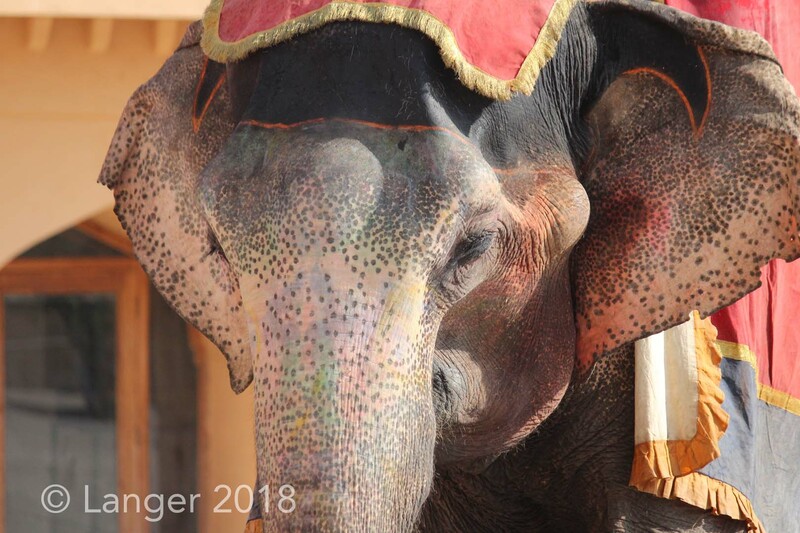 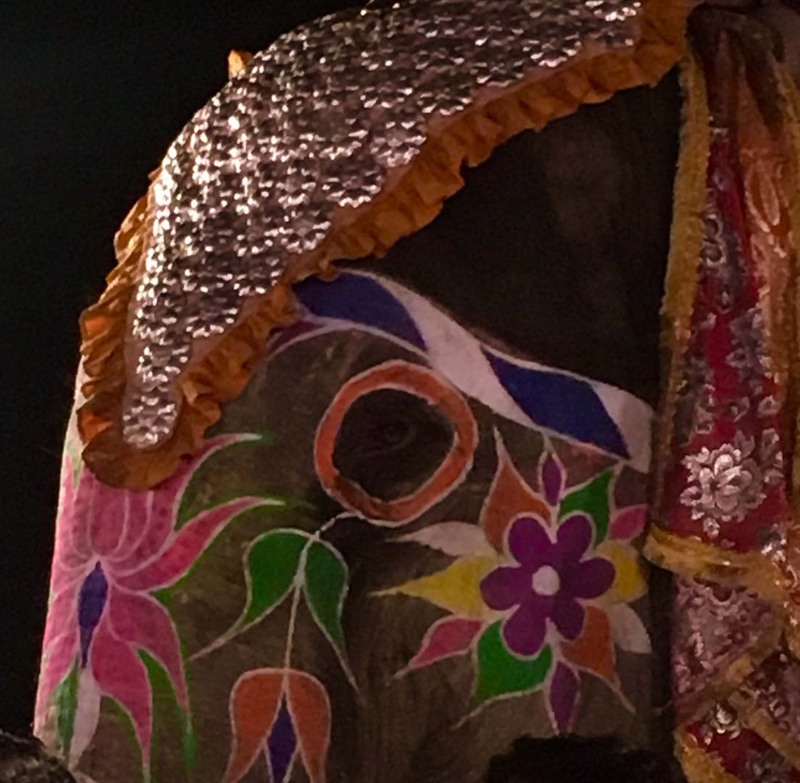 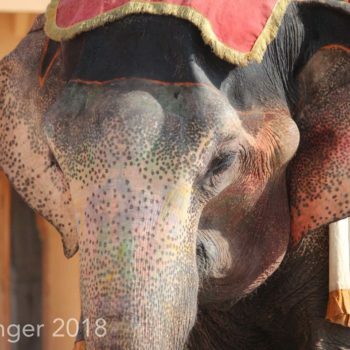 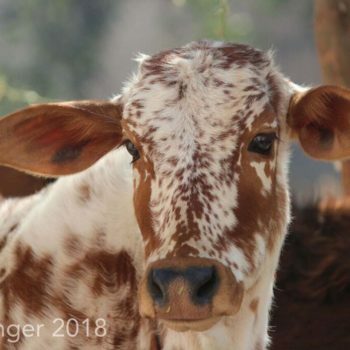 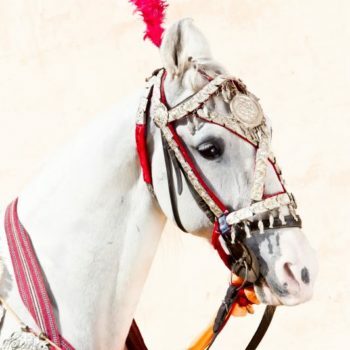 More information about our India Horse Safari? 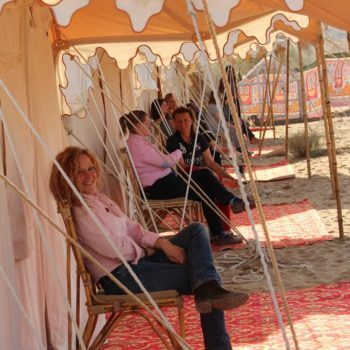 The travel is limited to 10 – 15 participants. 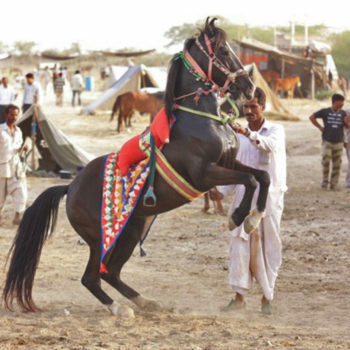 It is an individual tour taken together, on which Mr. Singh provides his contacts, knowledge of language and country as well as his horses. 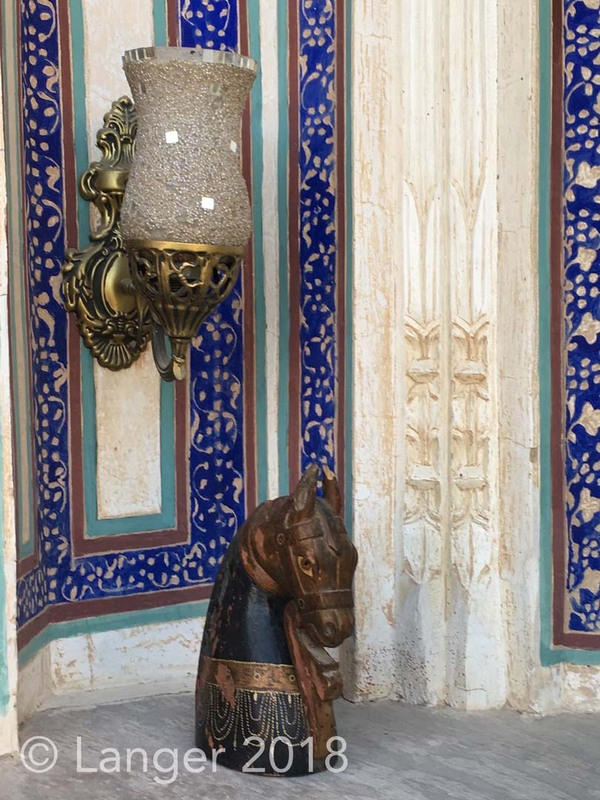 We assume NO LIABILITY. The minimum number of participants is 10 people. 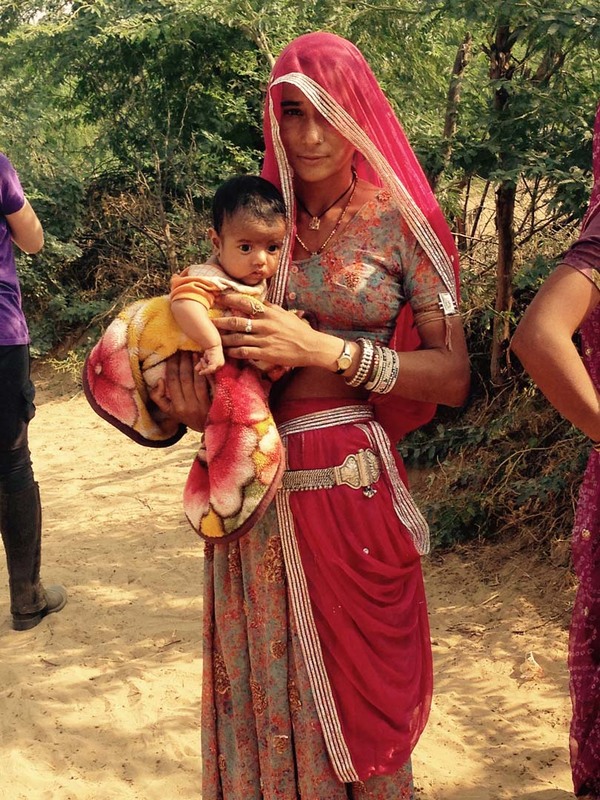 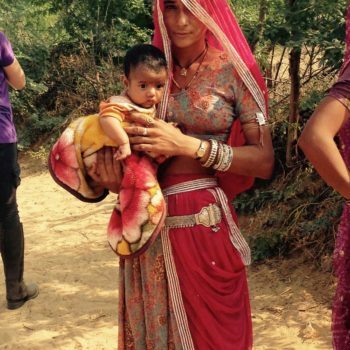 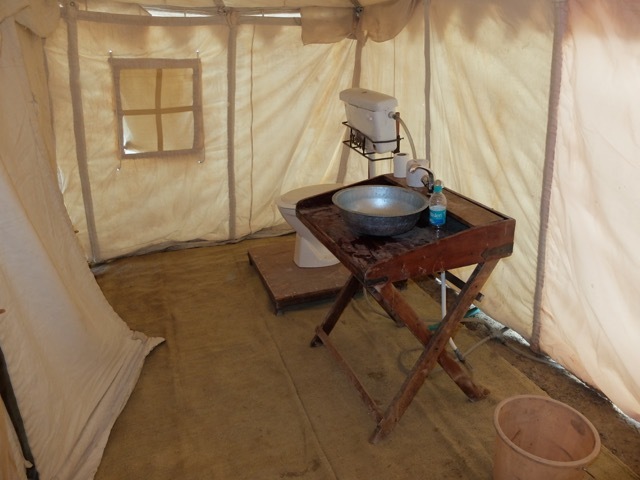 We reserve the right to make changes, depending on the circumstances on-site in India! 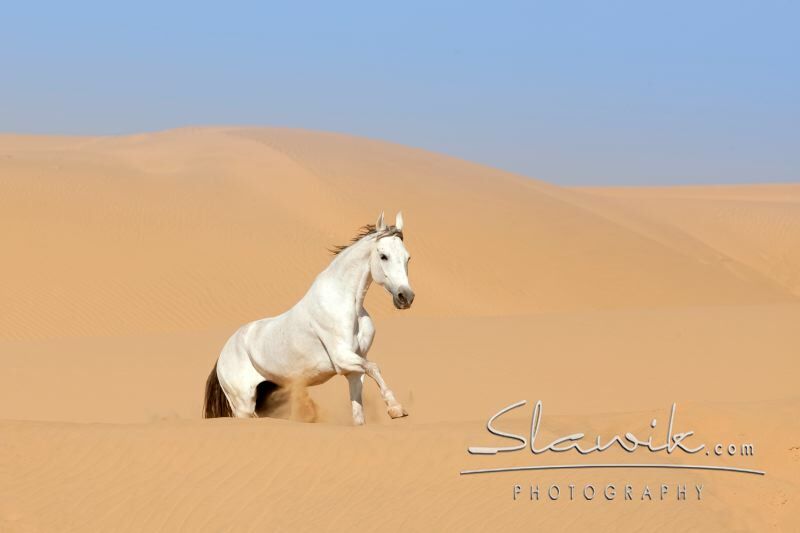 There is always the possibility for riders who do not feel equal to the whole ride or for “non-riders” to accompany the stages in the jeep. 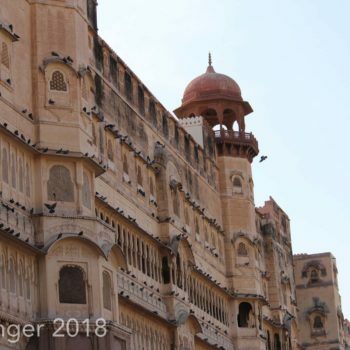 Anyone interested in understanding India beforehand should read the autobiographical novel “Shantaram” by Gregory David Roberts. 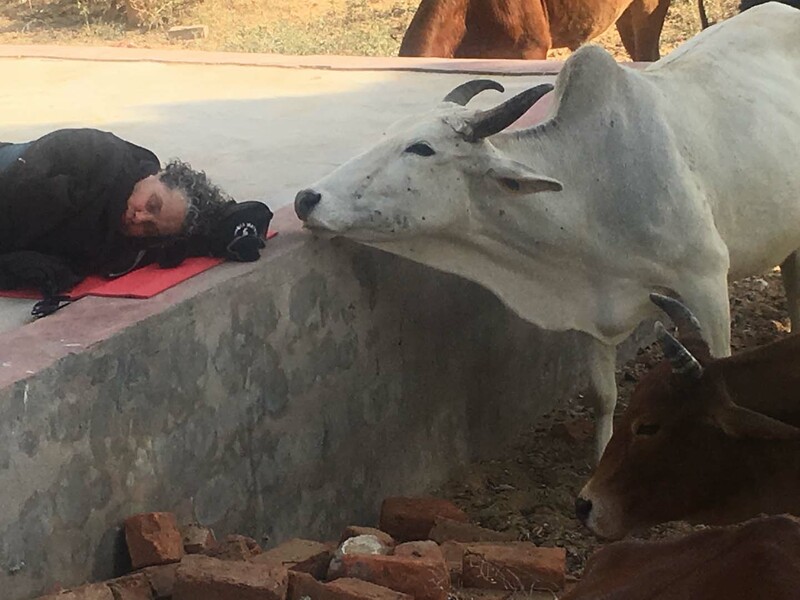 at the latest after this reading it is clear there is nothing that doesn’t exist in India! 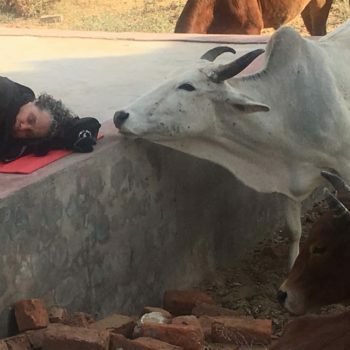 India, a country where it is wiser to listen to your heart than to your mind! 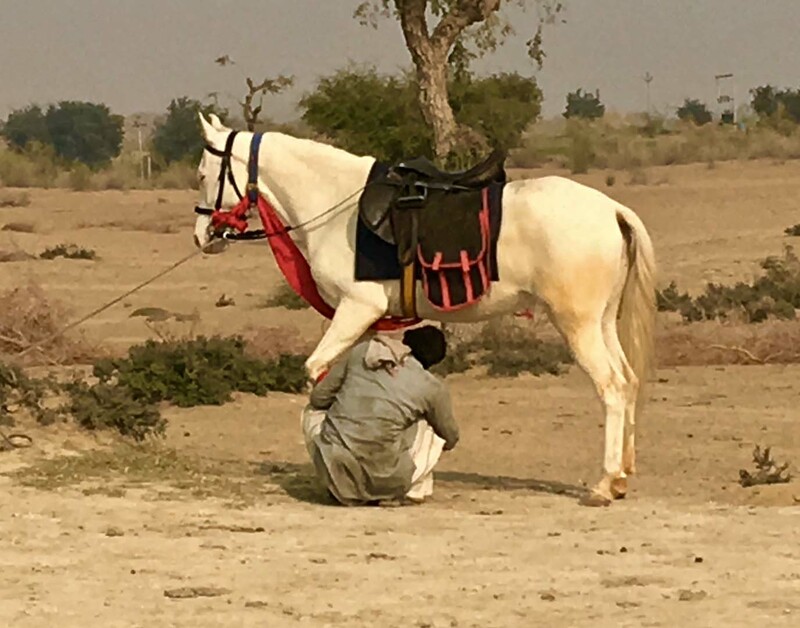 Nowhere else in the world this perception is as true as here. 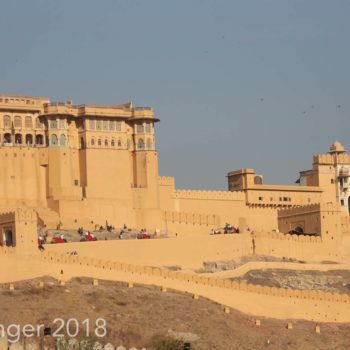 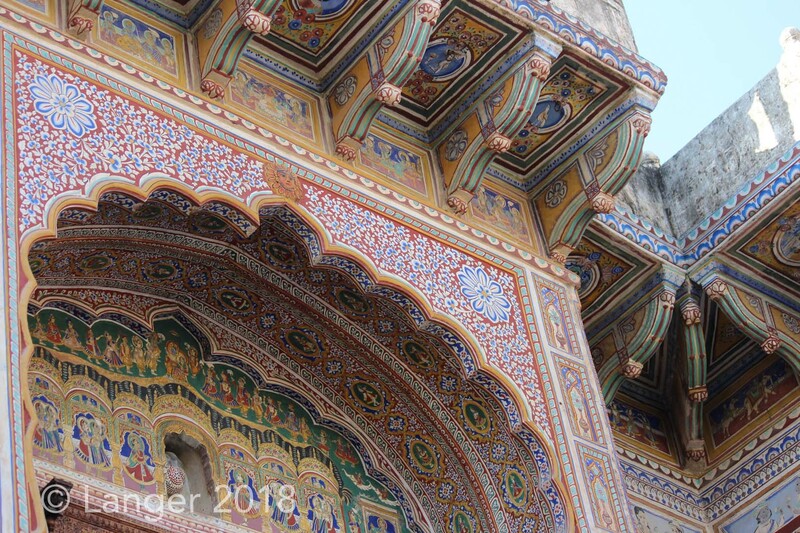 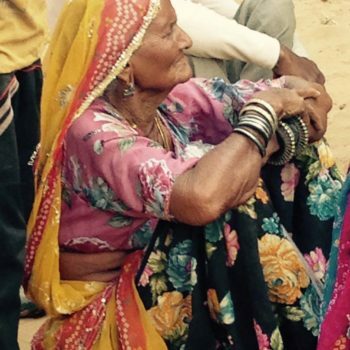 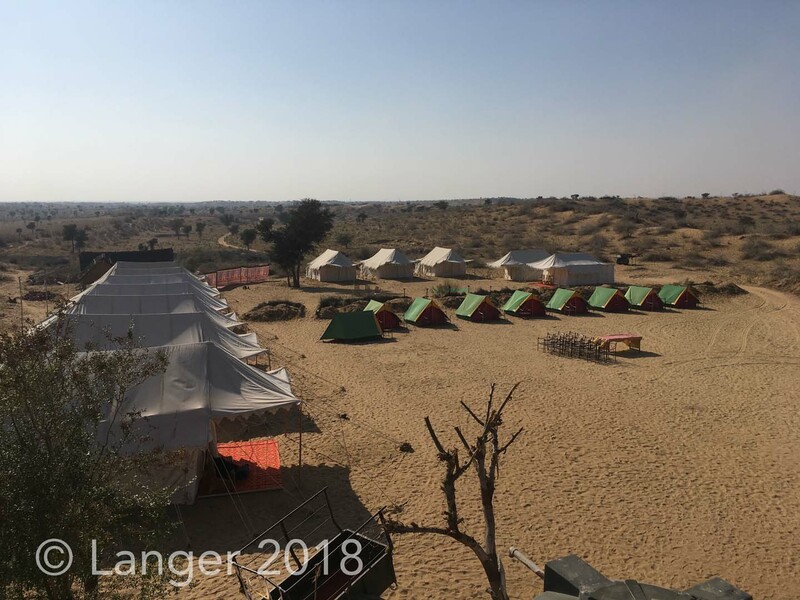 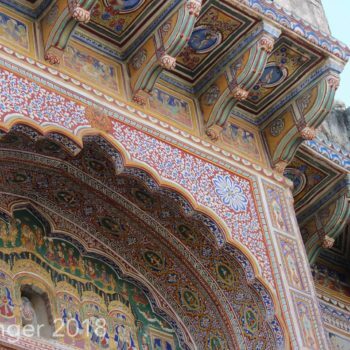 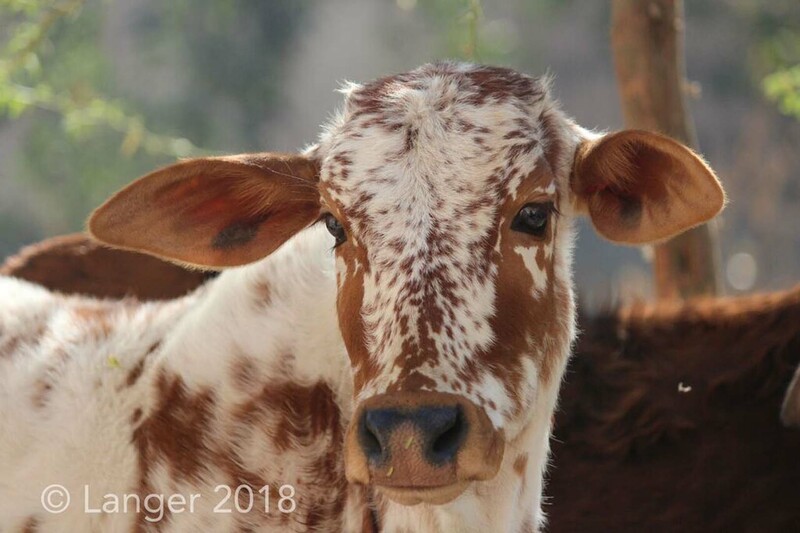 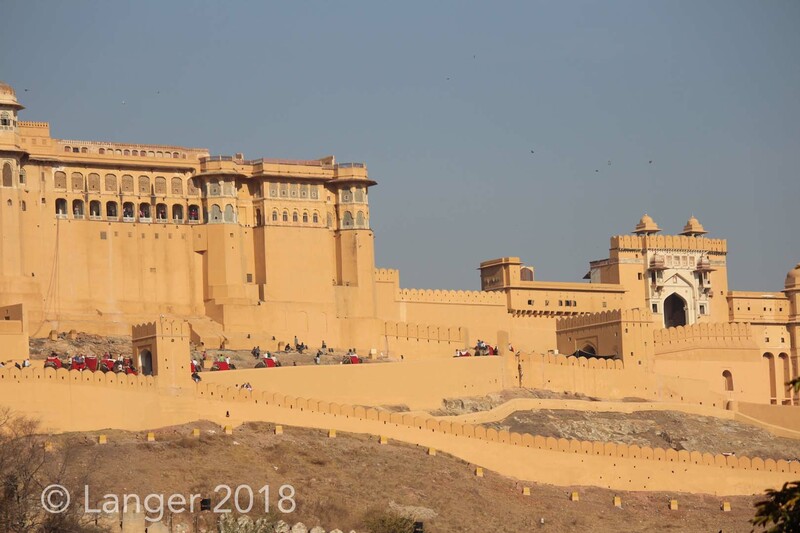 Since 2011 I have been riding through Rajasthan and travelled through the country several times and I am still fascinated by the diversity of the country, the colours and people‘s kindness – each and every time again. 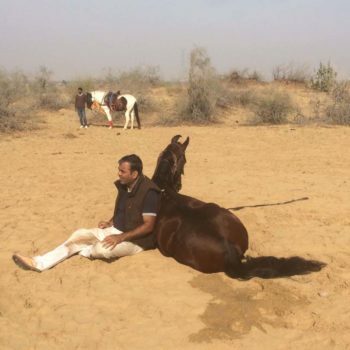 I have visited people, horses, “gone places” to design the journeys offered here. 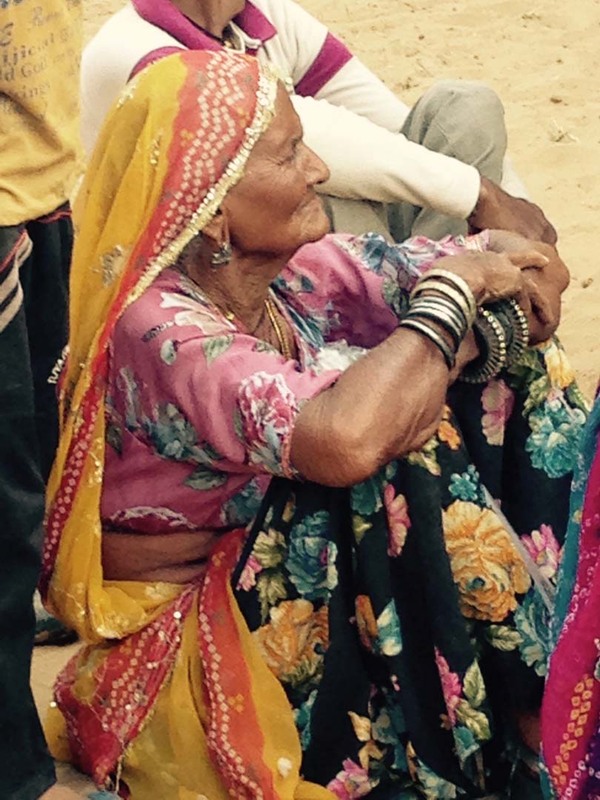 Up to now the fascination of India has affected every single participant of my journeys. 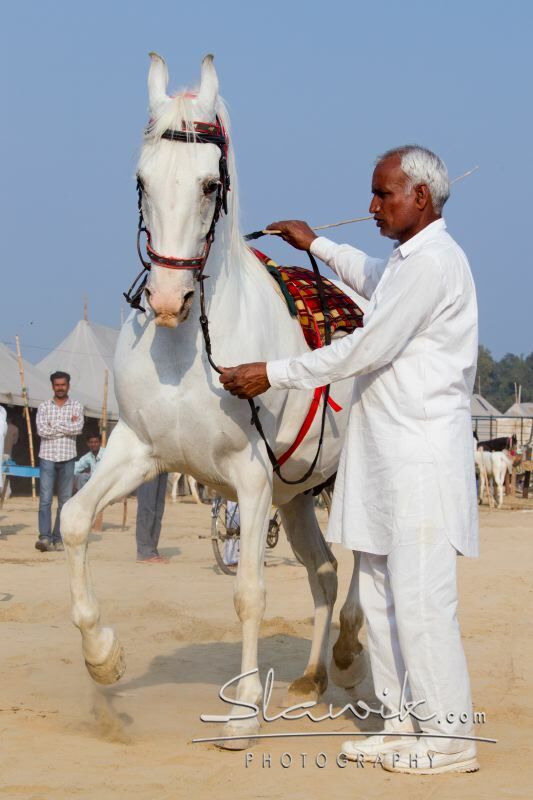 Bhuneshwar Singh has been organizing these rides for many years and is extremely experienced as a guide. 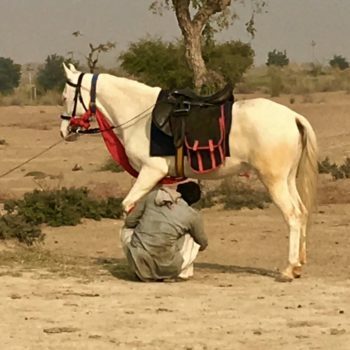 He is a person for whom horses are his “religion”. 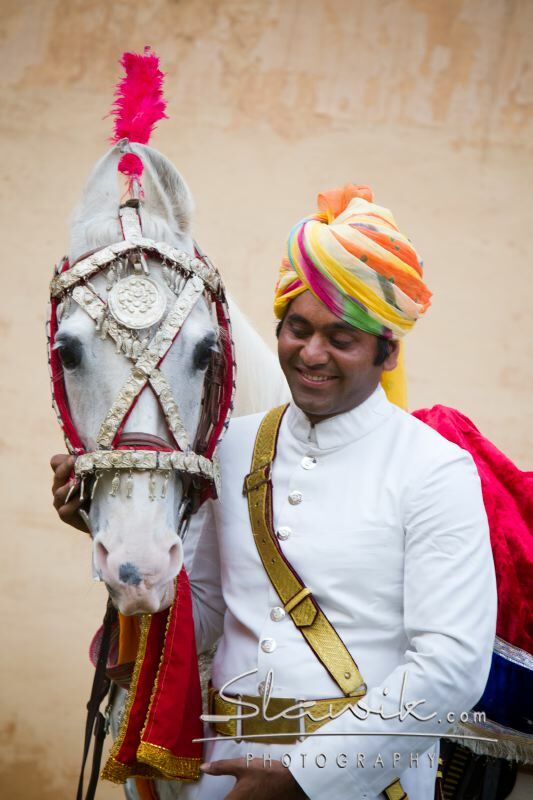 He has a “knack” for horses and people. 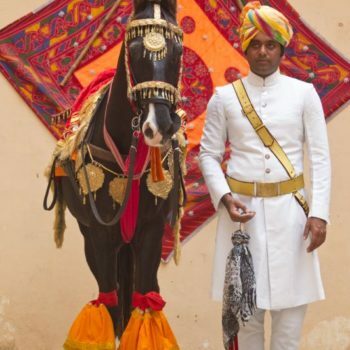 Bhuneshwar Singh comes from one of the very old families of Rajasthan. 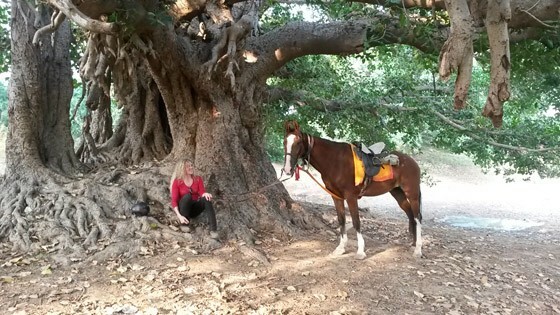 He knows the area through which we ride very well, finding the best places for spectacular views, animal spotting, lunch breaks or the camp. 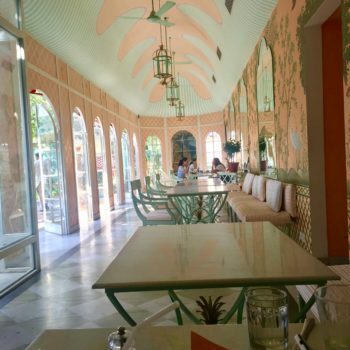 Of course he knows every insider tip for the best food. 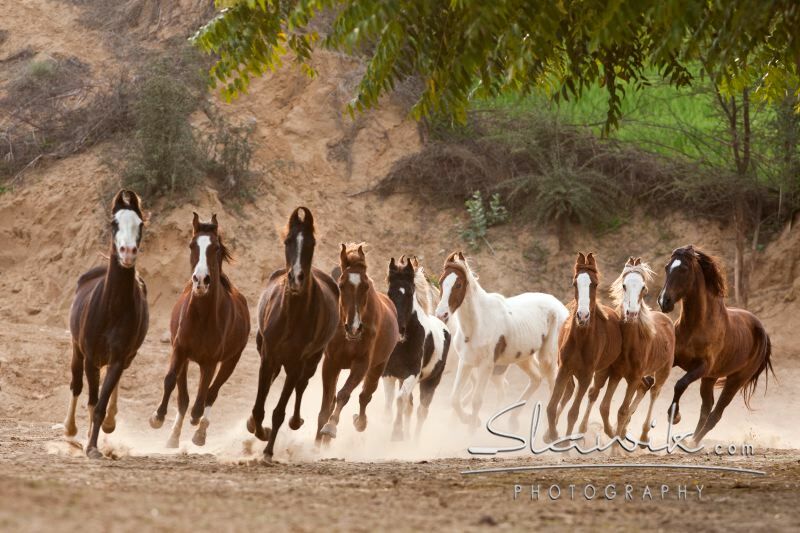 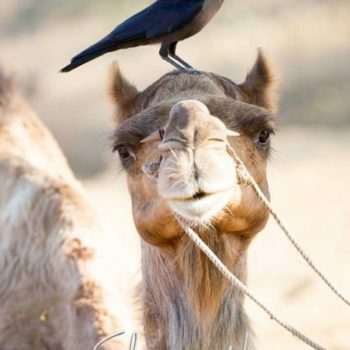 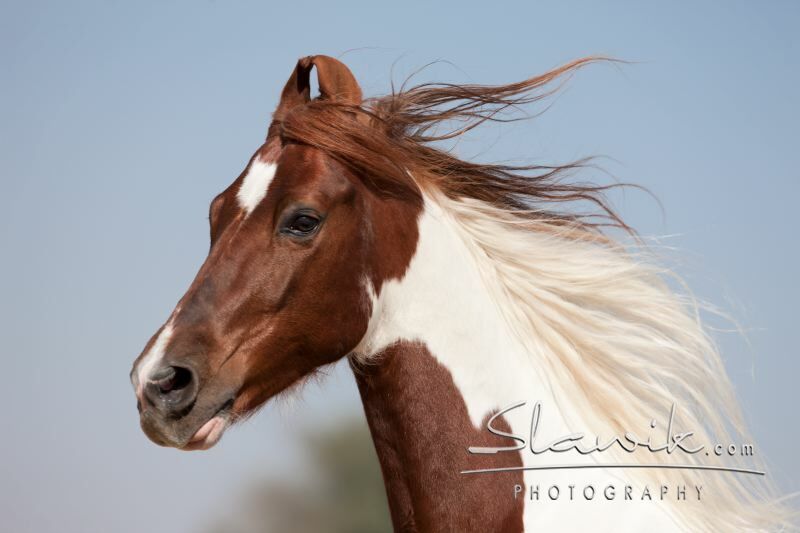 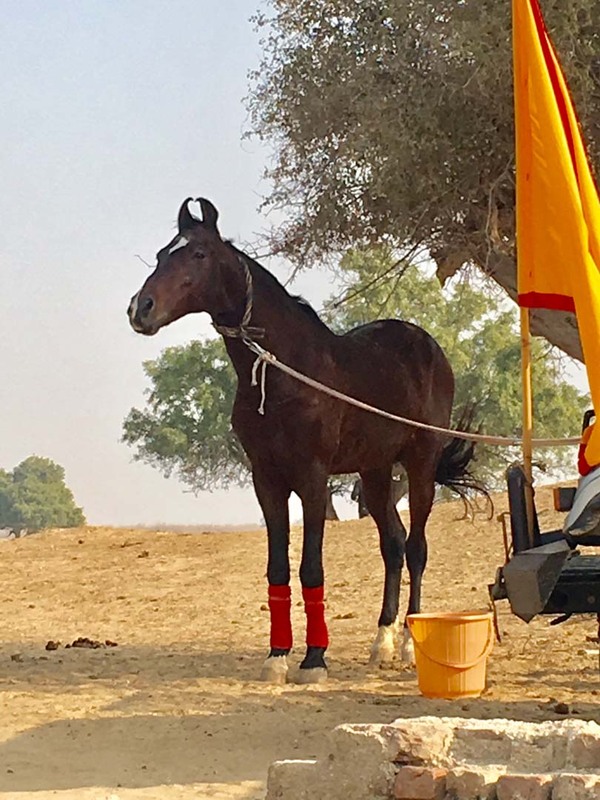 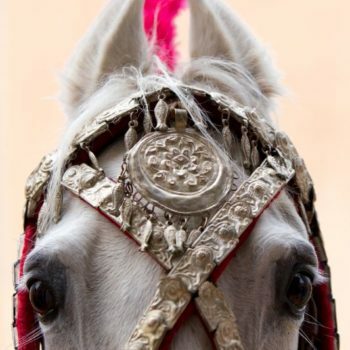 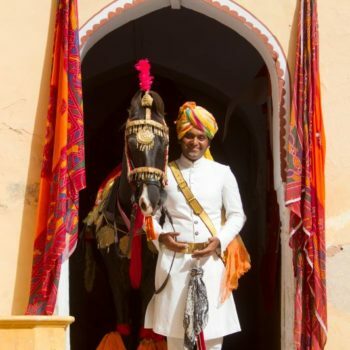 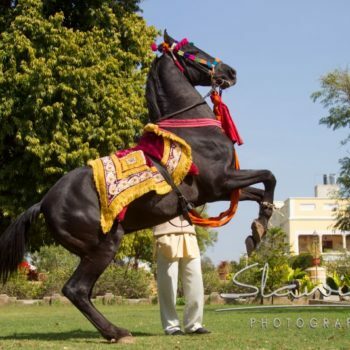 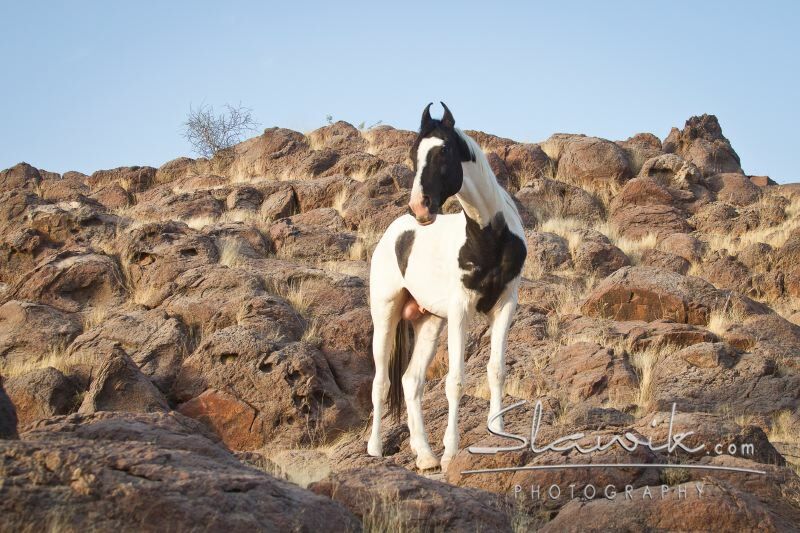 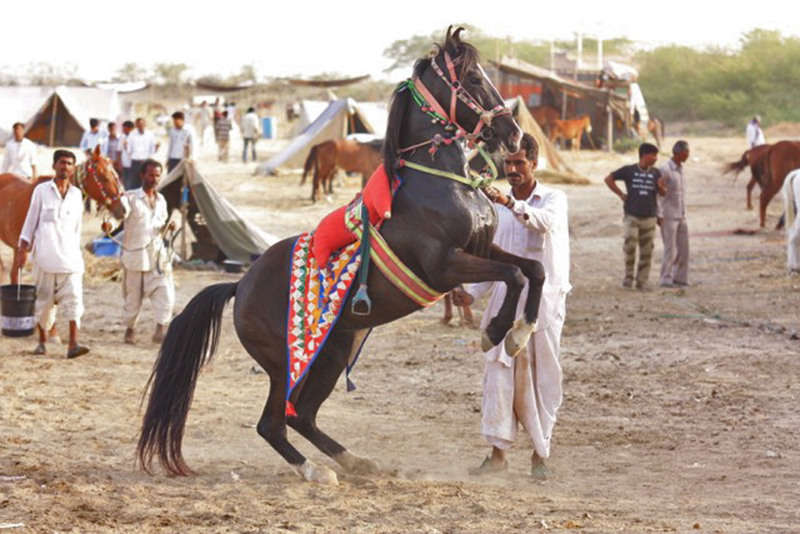 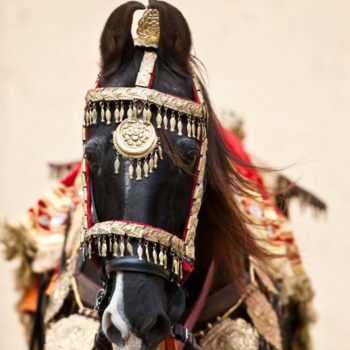 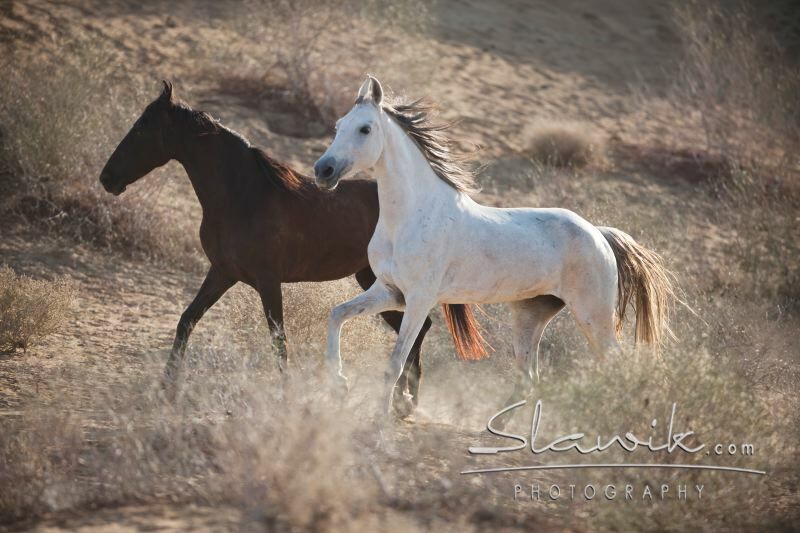 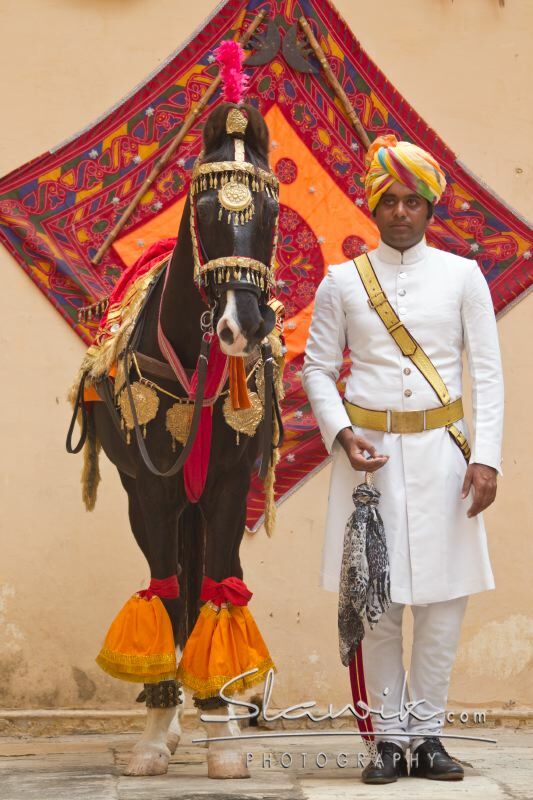 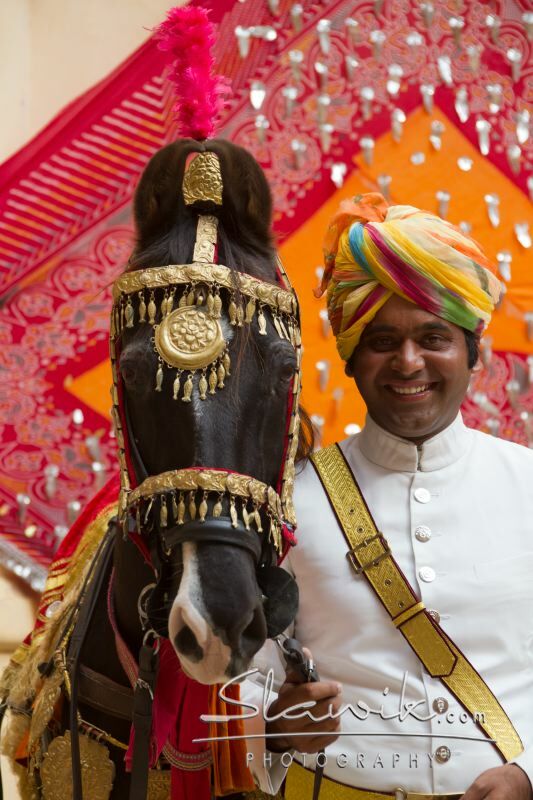 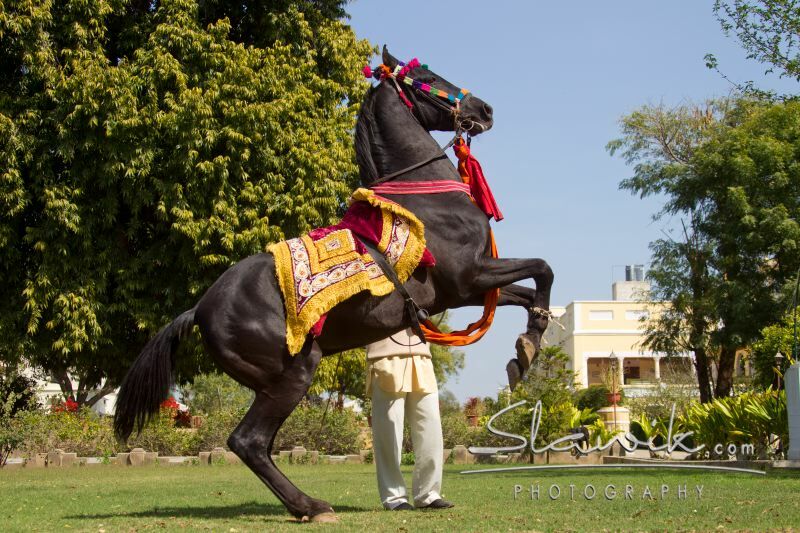 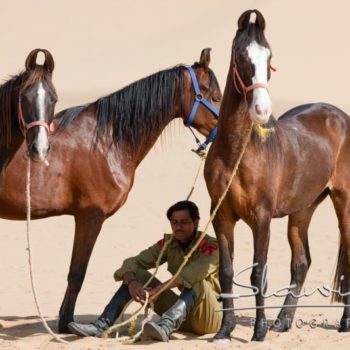 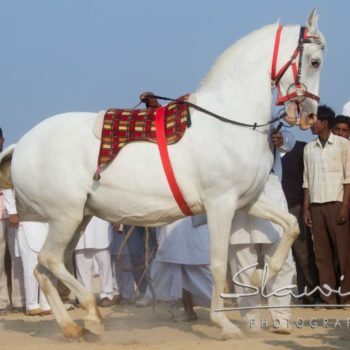 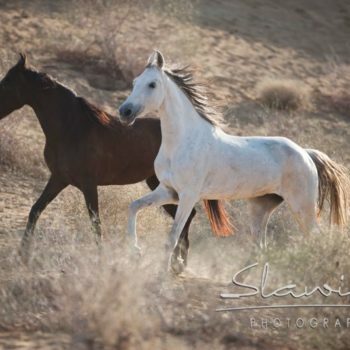 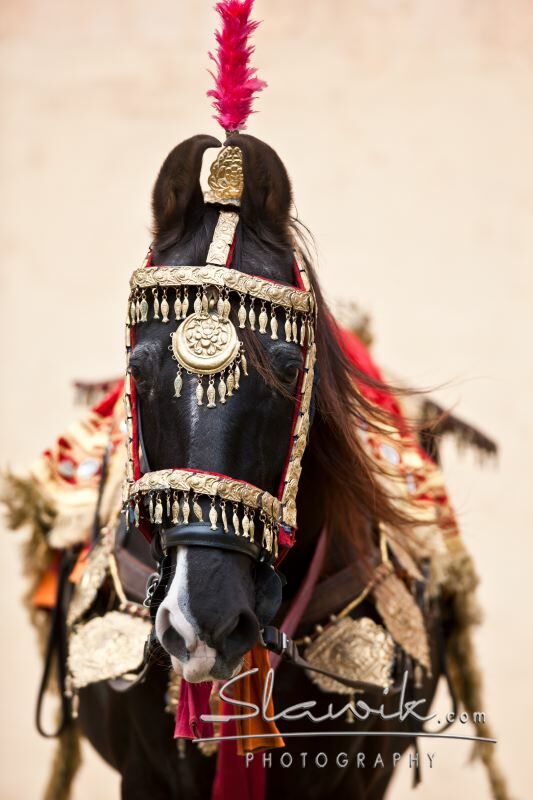 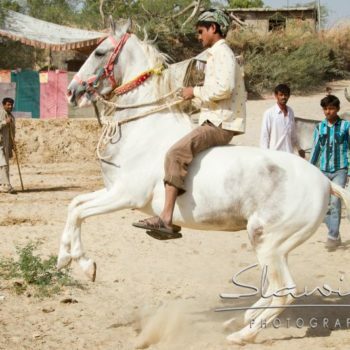 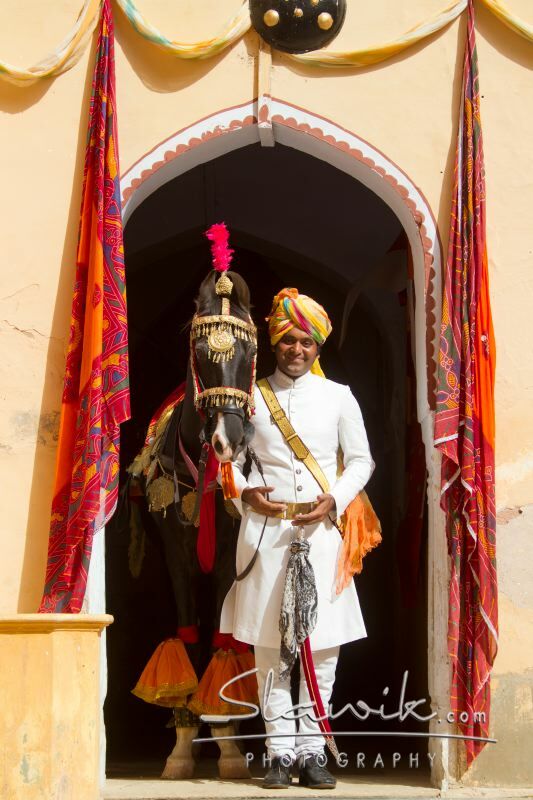 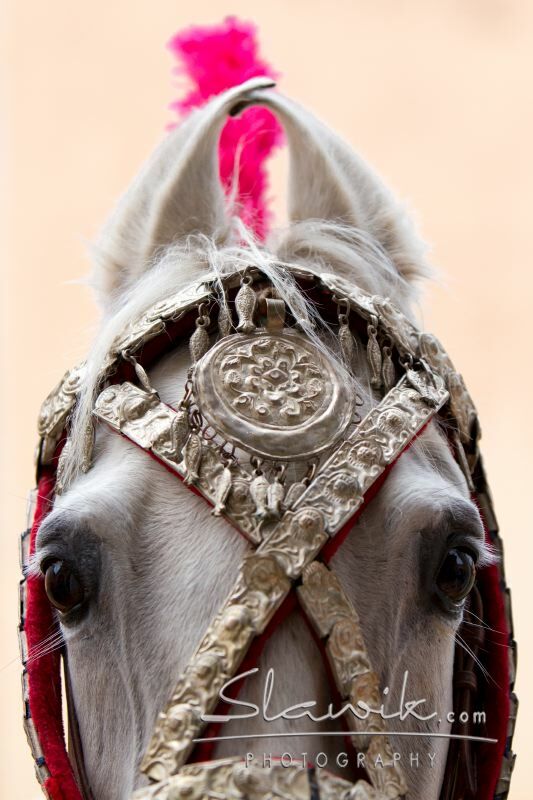 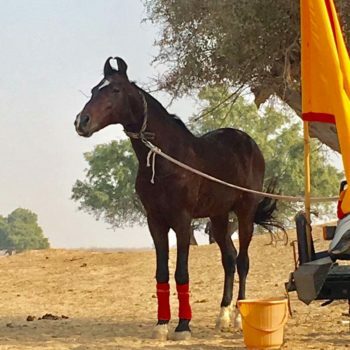 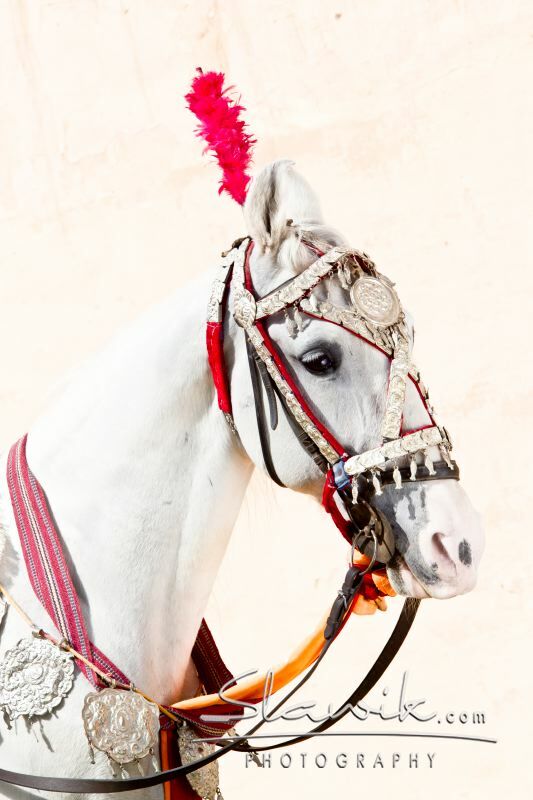 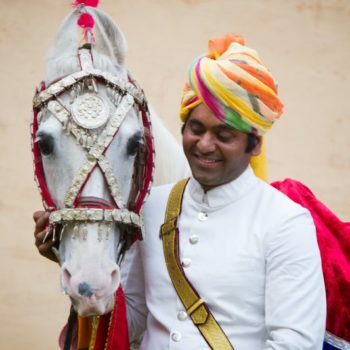 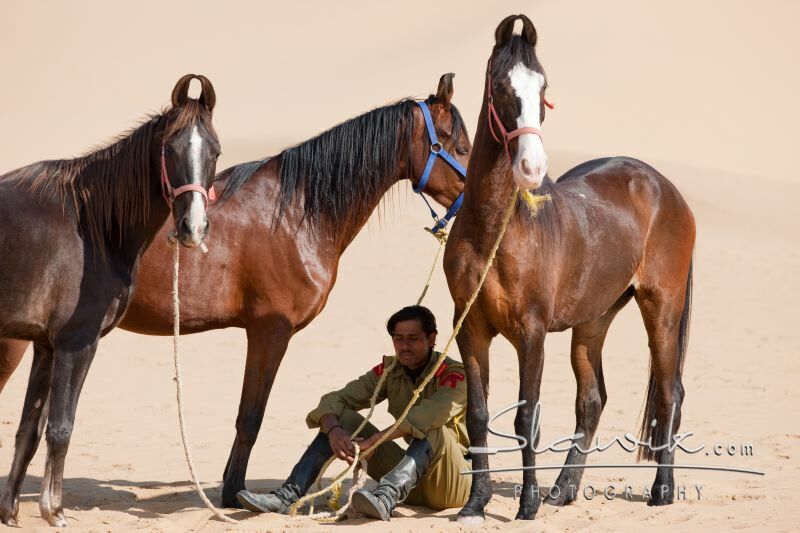 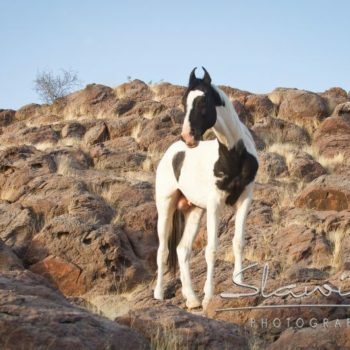 Our horses are always Marwaris – the maharajah’s horses. 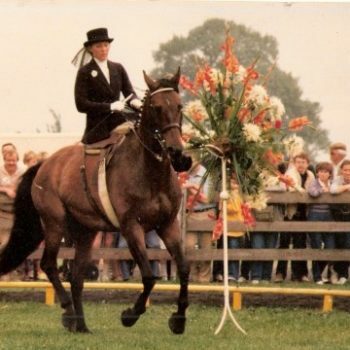 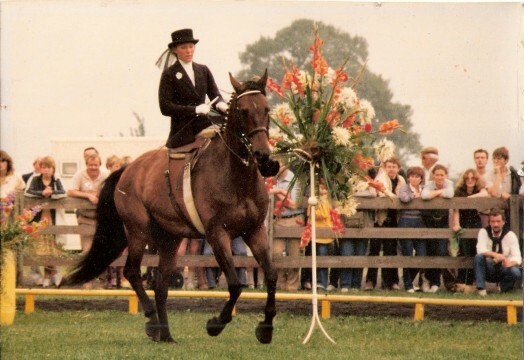 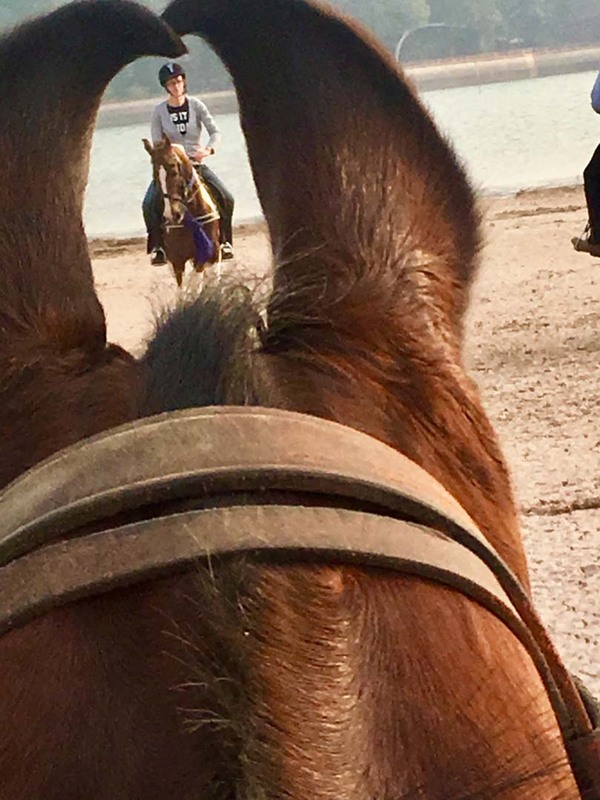 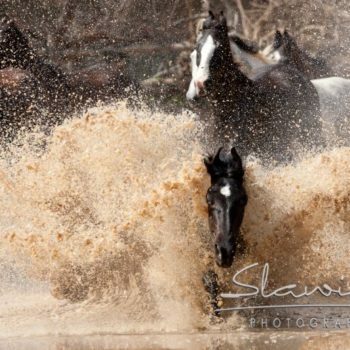 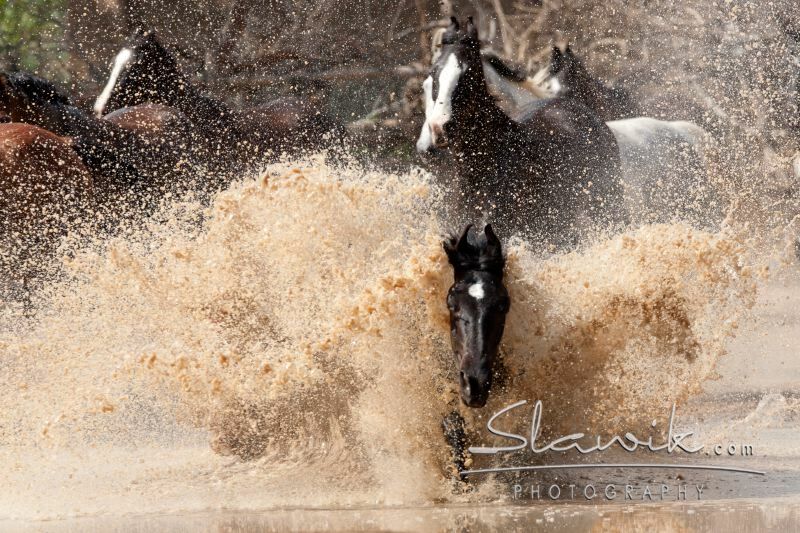 Very strong-nerved and hardy horses – as special as the country! 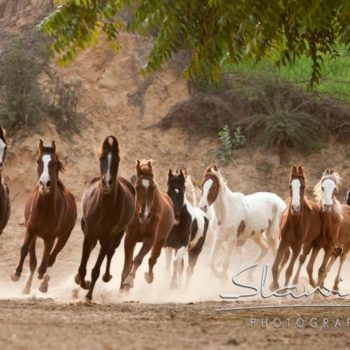 Often they have an extremely fast four beat gait. 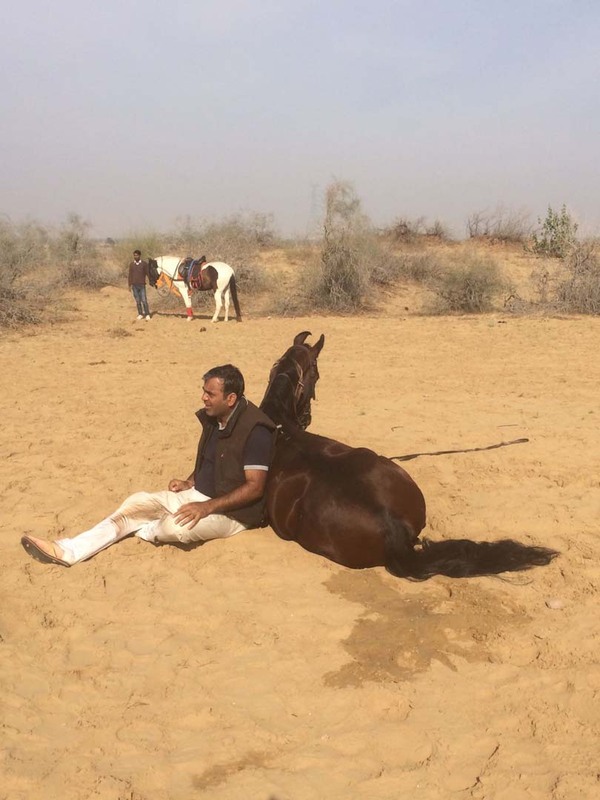 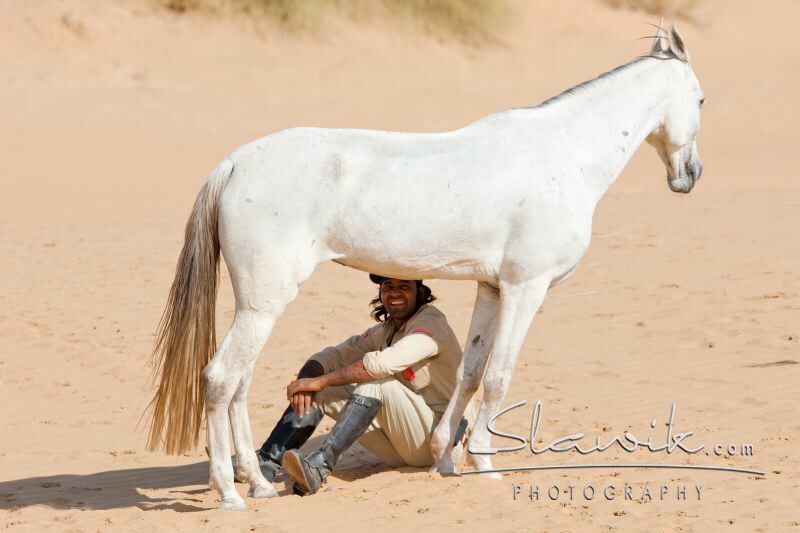 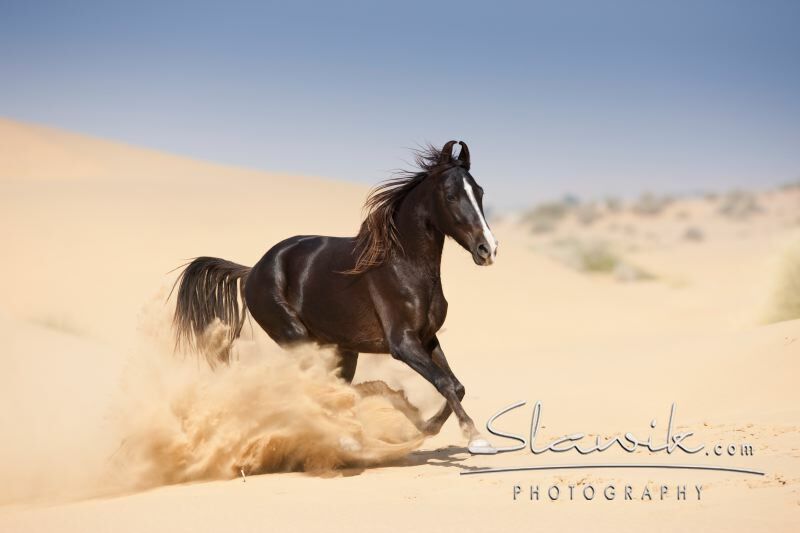 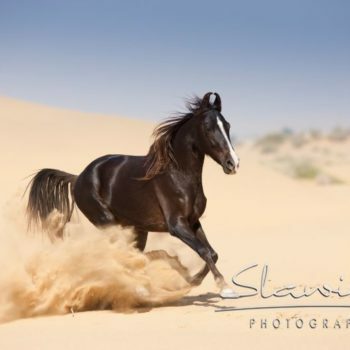 Marwaris cope with strenuous rides in the sand dunes of the semi-desert with astonishing ease. 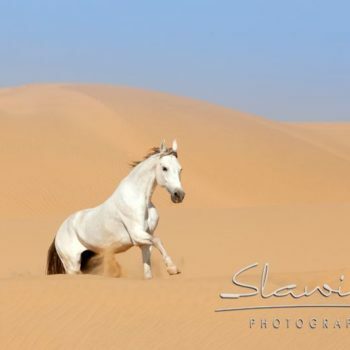 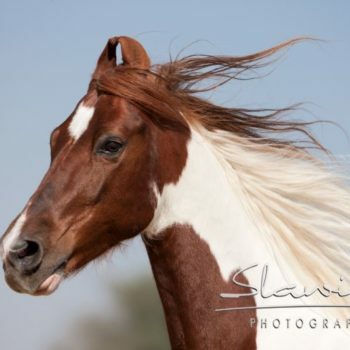 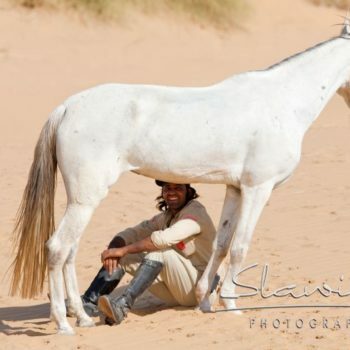 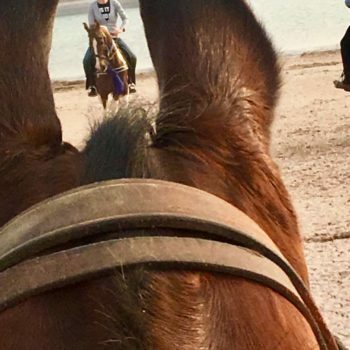 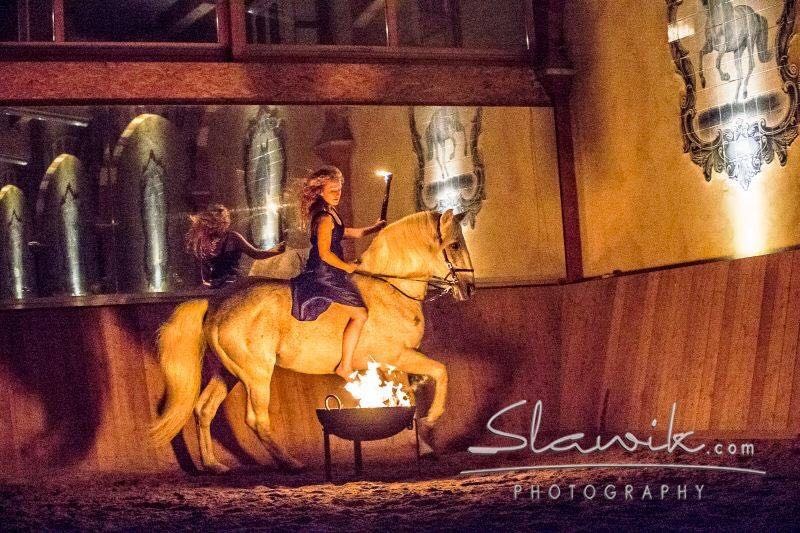 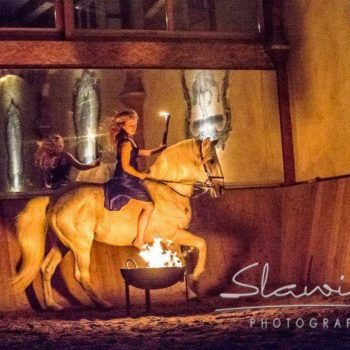 At the beginning of the tour, the horses are assigned according to skills and requirements of the riders. 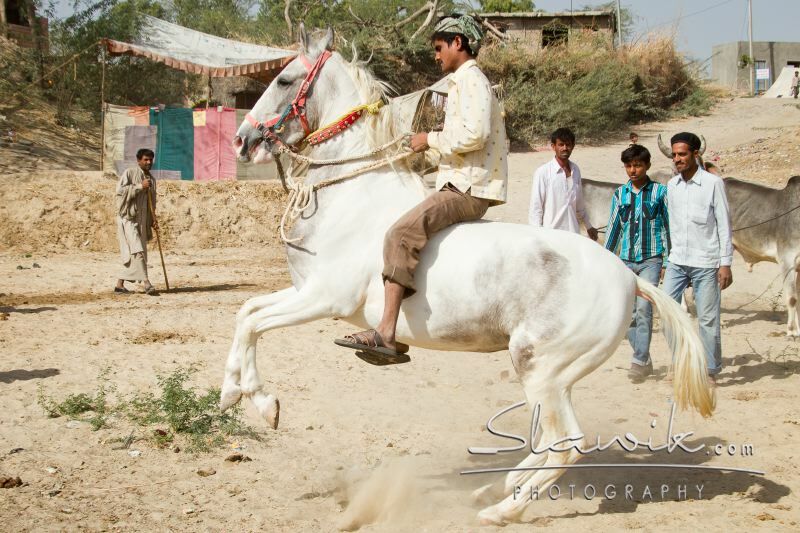 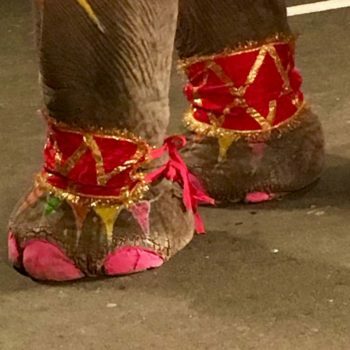 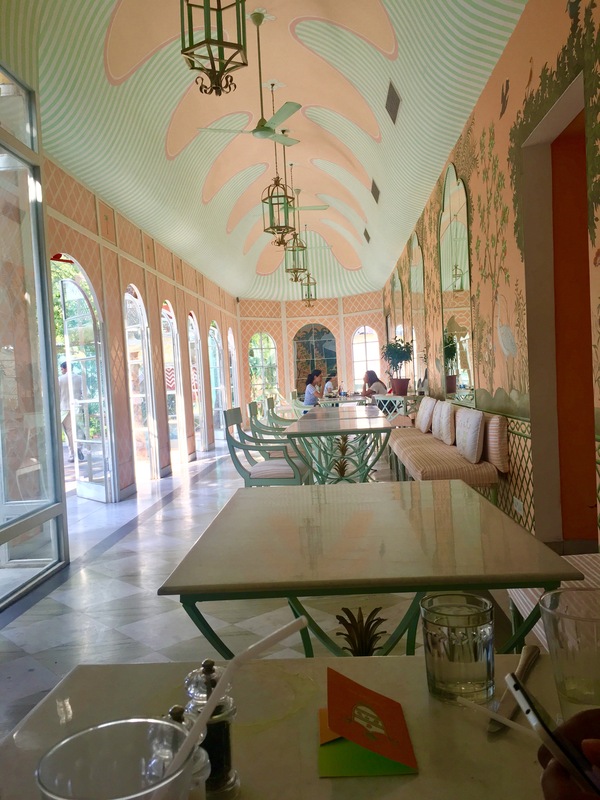 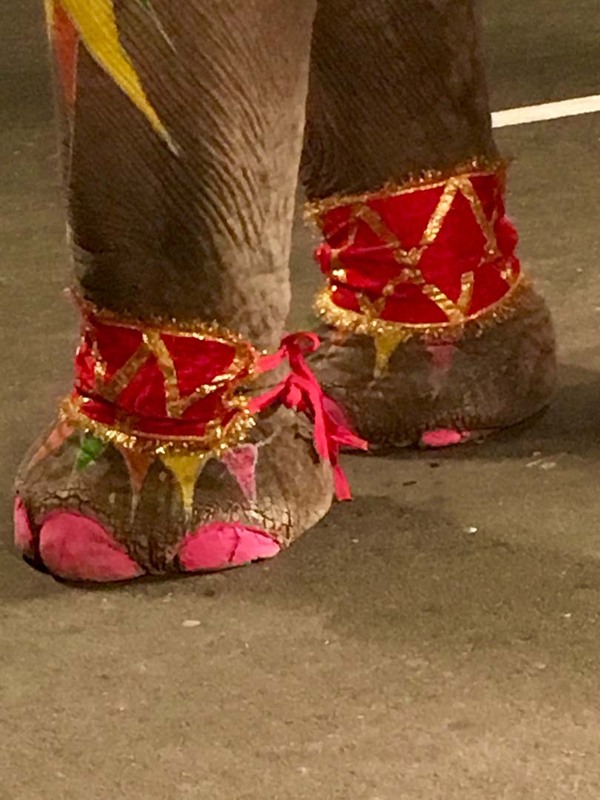 This is done on a “casual ride” – the test ride. 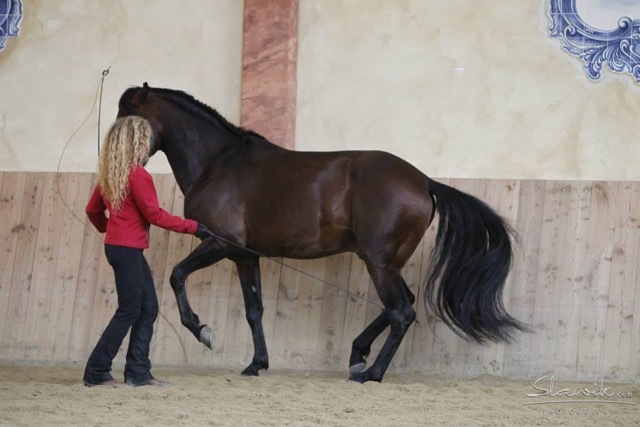 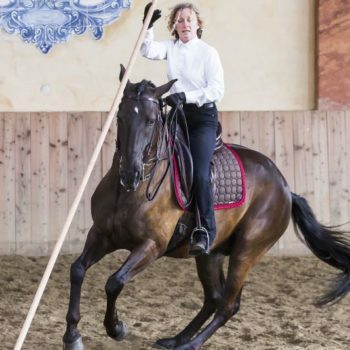 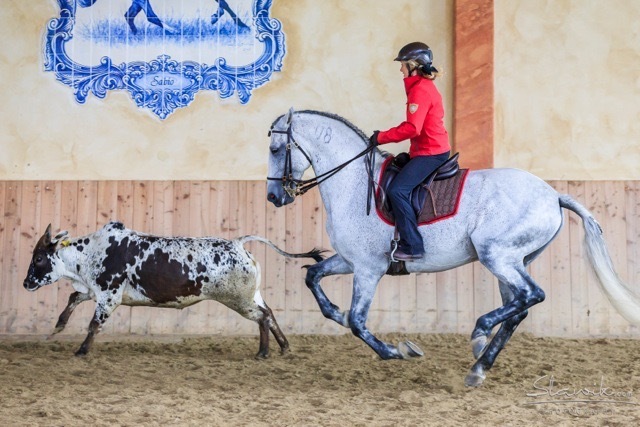 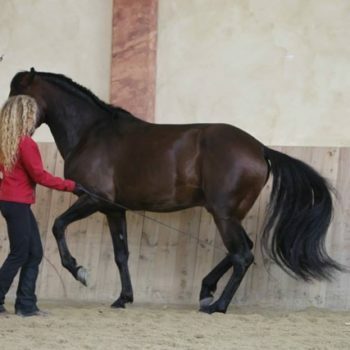 Andrea Jänisch and Buneswahr Singh can rely on their years of experience as a riding instructor and guide. 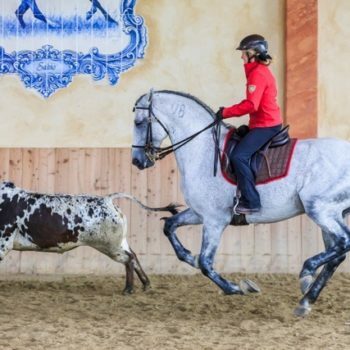 If necessary horses can be changed during the tour, if a rider doesn’t harmonize with the chosen mount. 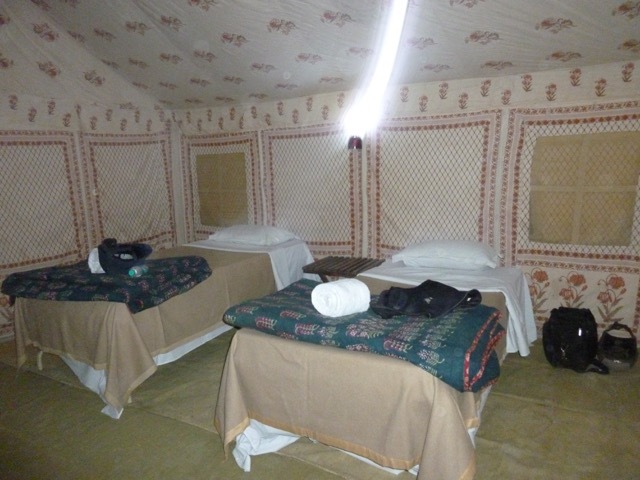 In camp we stay in comfortable 2 person tents. 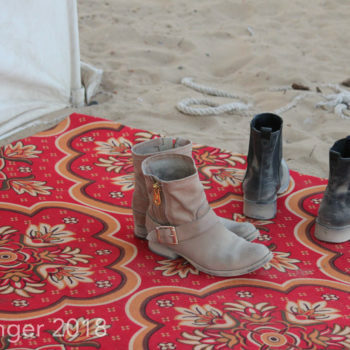 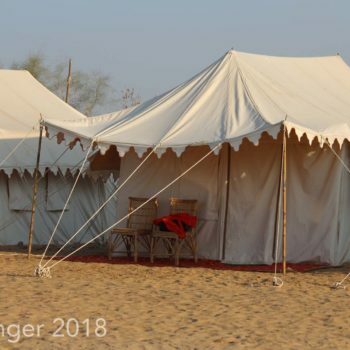 The tents have a square footage of 30 square meters. 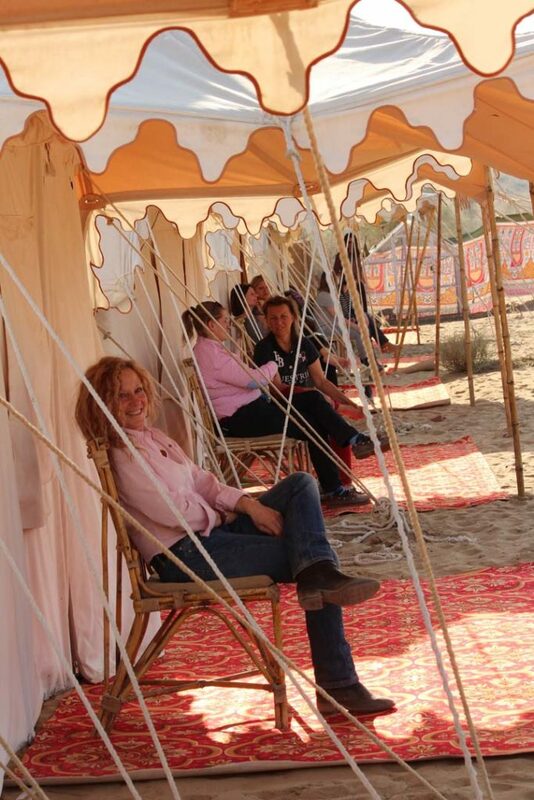 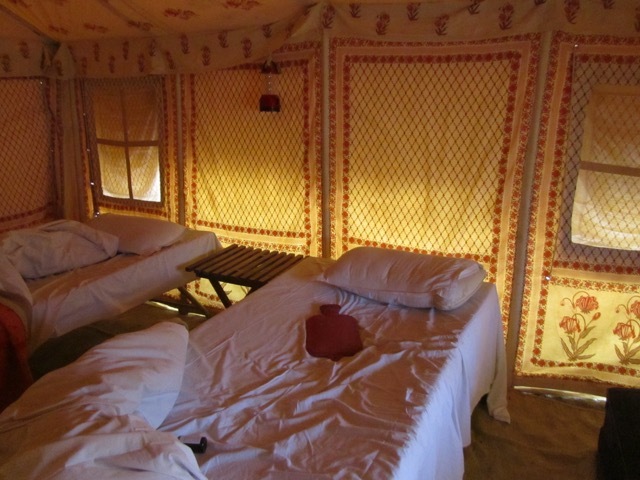 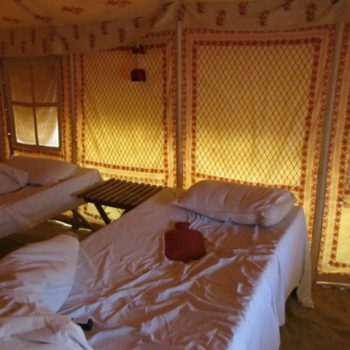 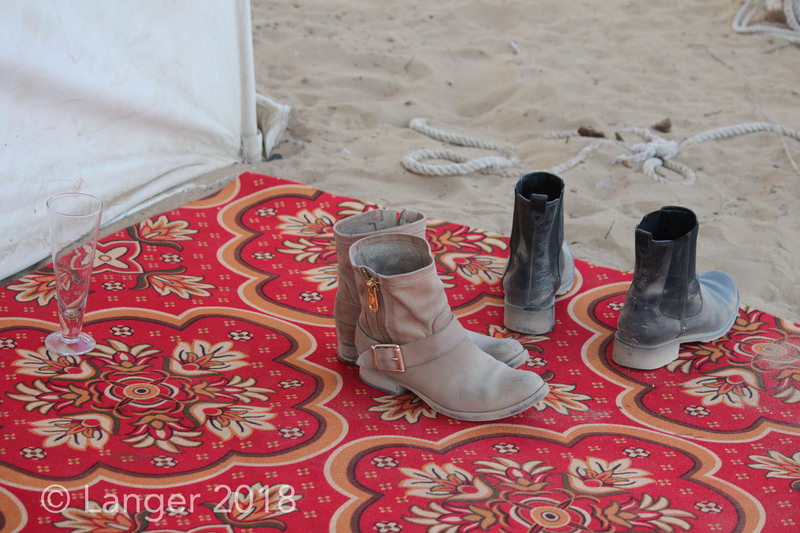 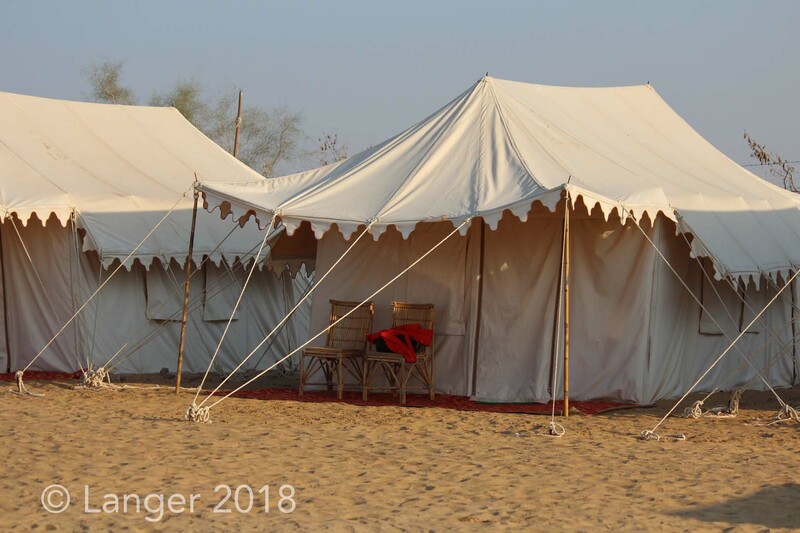 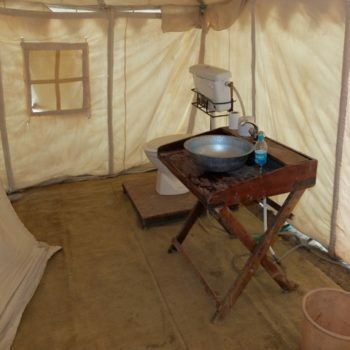 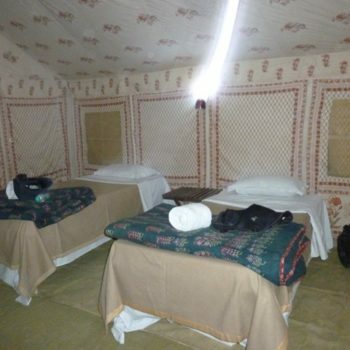 Each tent is equipped with private bathroom and toilet. 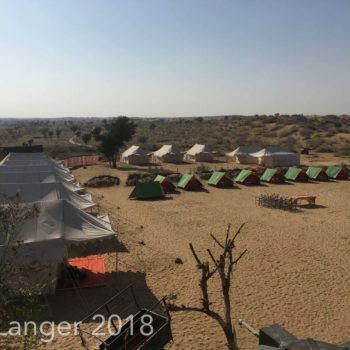 We will eat at the camp fire accompanied by live indian music. 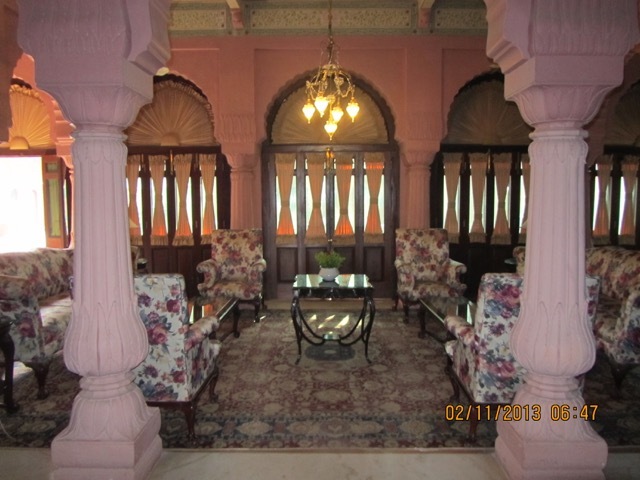 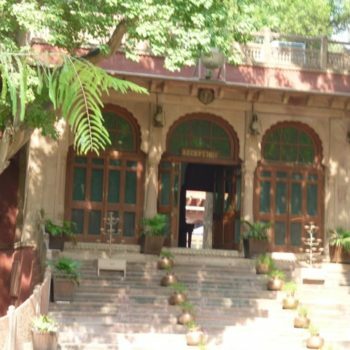 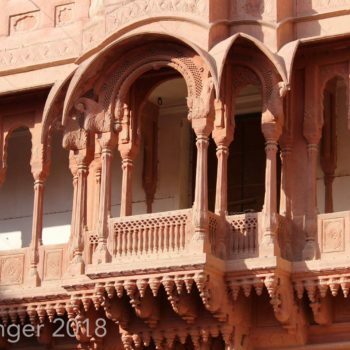 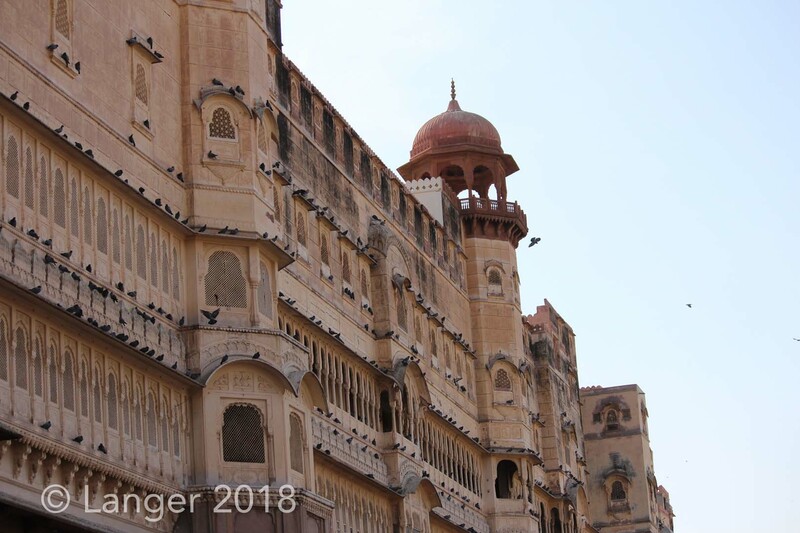 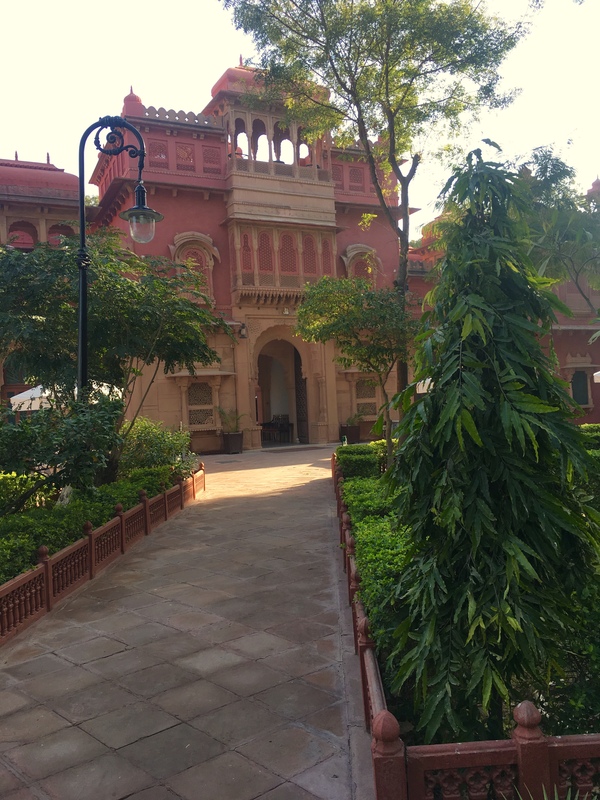 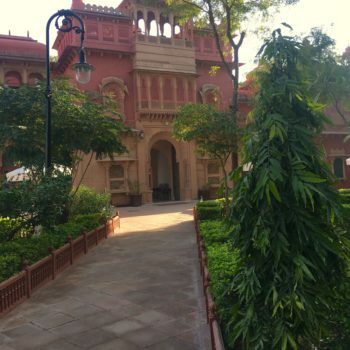 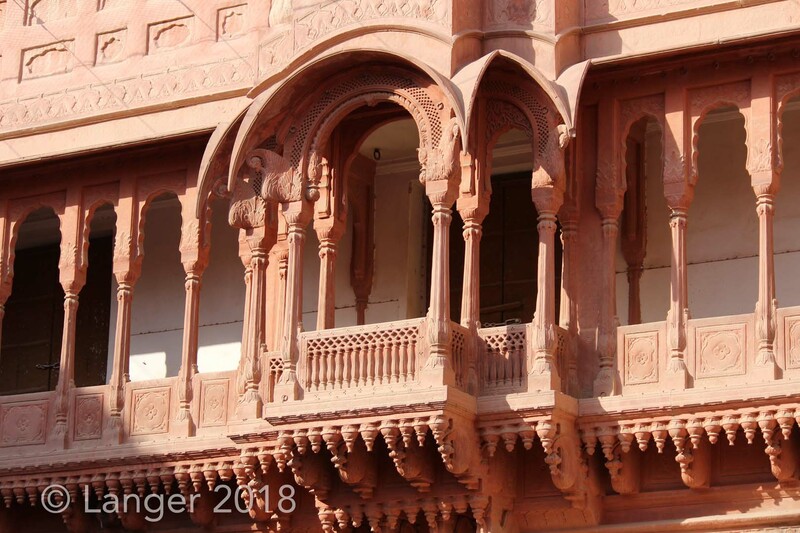 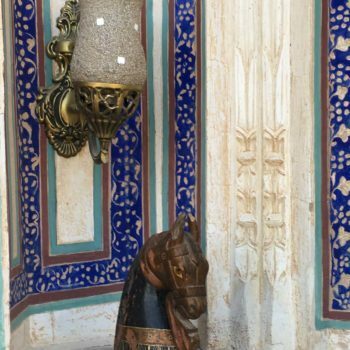 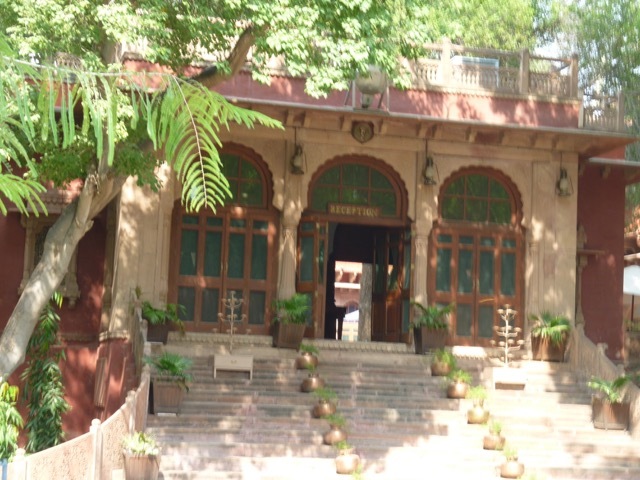 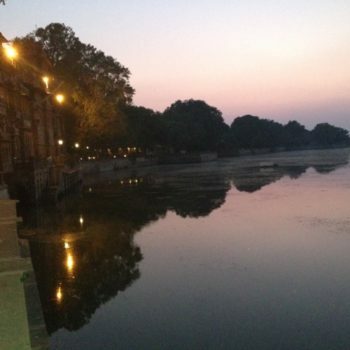 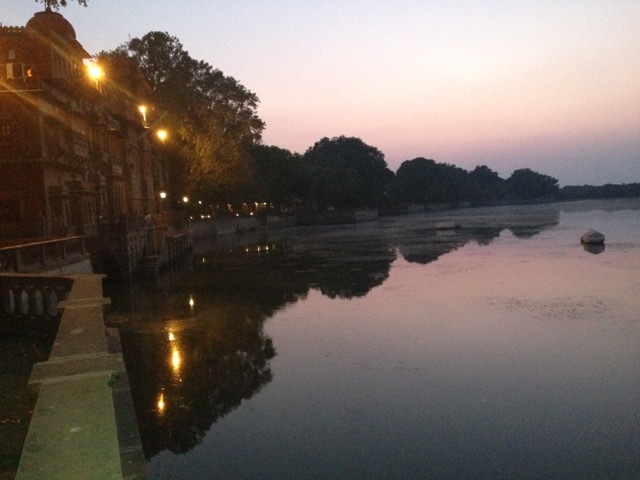 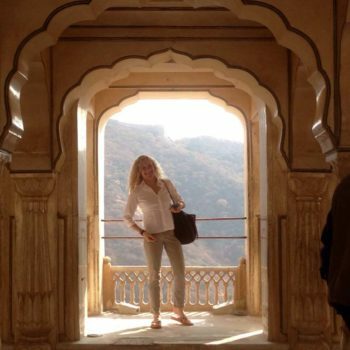 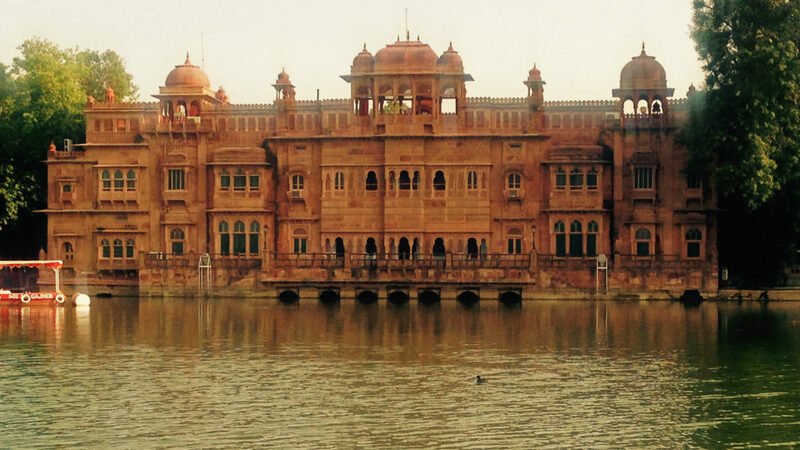 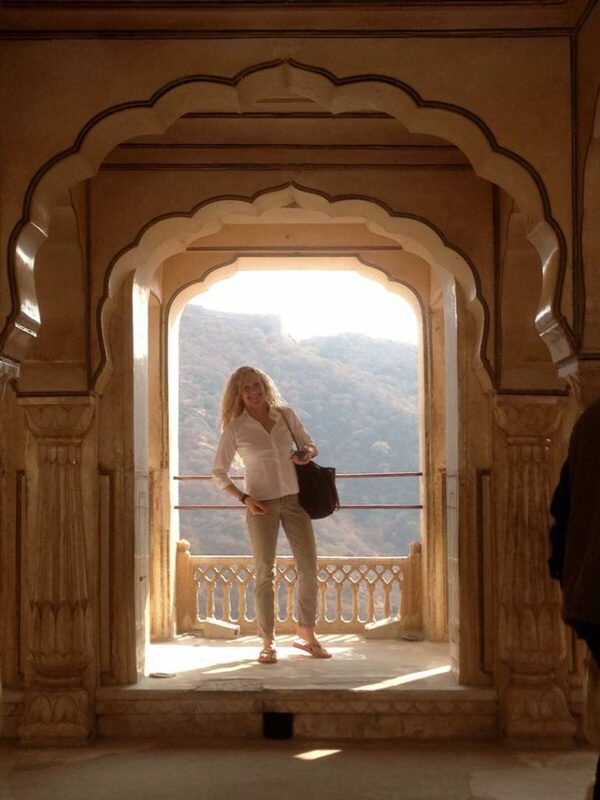 The selected hotels are in Havelis (traditional merchants houses), a former fort or in old hunting lodges. 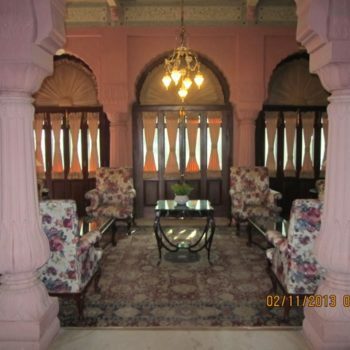 All very beautiful historical and traditional houses.